Each year we plant native trees or shrubs to honor our new high school graduates. This year, we planted wild plums and persimmons. With financial support from the Wildflower Assn. 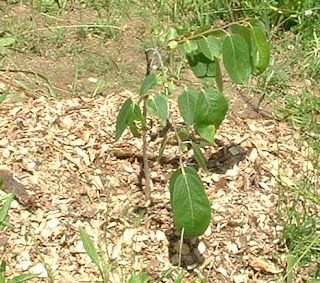 of Michigan, we hope to plant more native shrubs in September, including blueberries.